201 Queen Street in Moncton is recognized as a Local Historic Place for its architecture and for its association with many of its prominent past owners. 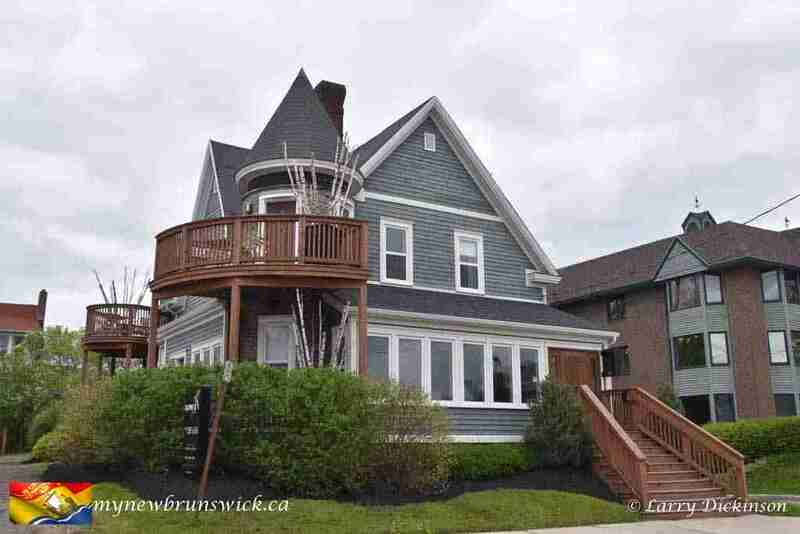 The home is an excellent example of Queen Anne Revival residential architecture from the turn of the 20th century in Moncton. 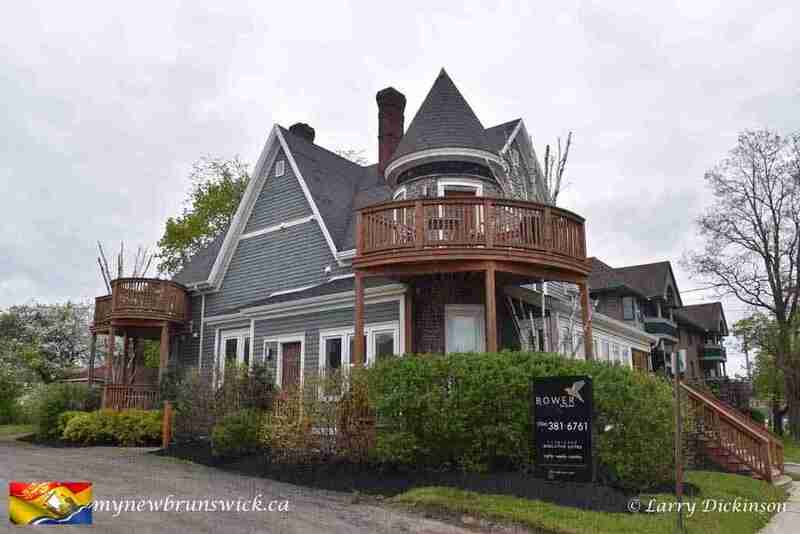 Built in 1900 for locally well-known travelling salesman O. W. Coleman, this residence exhibits such traditional elements of this style as a steeply pitched cross gable roof, a corner tower with a conical roof and a wrap-around veranda that is now an enclosed sun porch. This residence is also recognized for its association with Dr. Sherman W. Burgess. Dr. Burgess owned and occupied this residence from 1904 until his death in the 1940’s. One of the city’s first eye, ear, nose and throat specialists, he was made a Fellow of the American College of Surgeons in his later years. The subsequent owner, Judge Tuttle T. Goodwin, was also a highly respected citizen of Moncton. This Probate Court Judge for Westmorland County and former alderman of Moncton served as City Solicitor for nearly 18 years until just prior to his death in 1948. In 1955, Judge Goodwin’s wife, Georgie, deeded the residence to their daughter, Doris Eleanor Gill. Doris’ husband, Bill Gill, is a member of the New Brunswick Sports Hall of Fame, the Nova Scotia Sports Hall of Fame and the Moncton Sports Wall of Fame. His achievements as a player include being a member Winnipeg’s Elmwood Millionaires when they captured the Canadian Junior Hockey Championship (Memorial Cup) in 1930-1931. He moved to Moncton to help form the legendary local team, the Moncton Hawks. During his tenure with the Hawks, the team won the Allan Cup in both the 1932-1933 and 1933-1934 seasons. His recognition in Nova Scotia is for his work as a coach. His wife continued to occupy the home until her death in 2004. The property is now owned by Bower Hotels and Suites.